For all the potential Artificial Intelligence has to be a force for good in the world (diagnosing cancer, understanding climate change, etc), AI might have just as much potential to do harm. Without regulation and oversight, there will be numerous instances for the new technology to be misused. As conscientious designers we are constantly trying to help people, not hurt them. 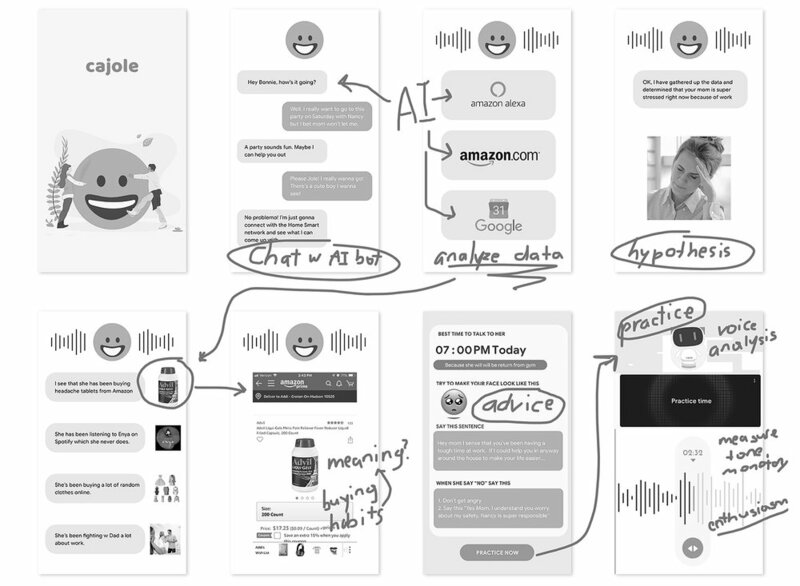 How might we play devil’s advocate and conceptualize an app that utilizes AI in nefarious ways, in order to understand the ethical implications that can arise when the technology falls into the wrong hands? 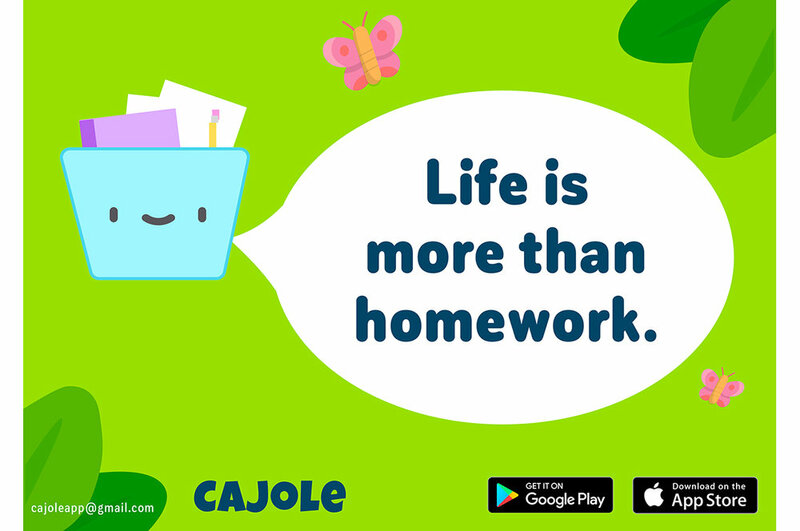 Using AI bots and data to help kids gain control of their lives, Cajole is an app that figures out the optimal time and method to approach parents with a request or simply to get away with something. Any kid who is fed up with having to play by the rules and being told, “NO” all the time. 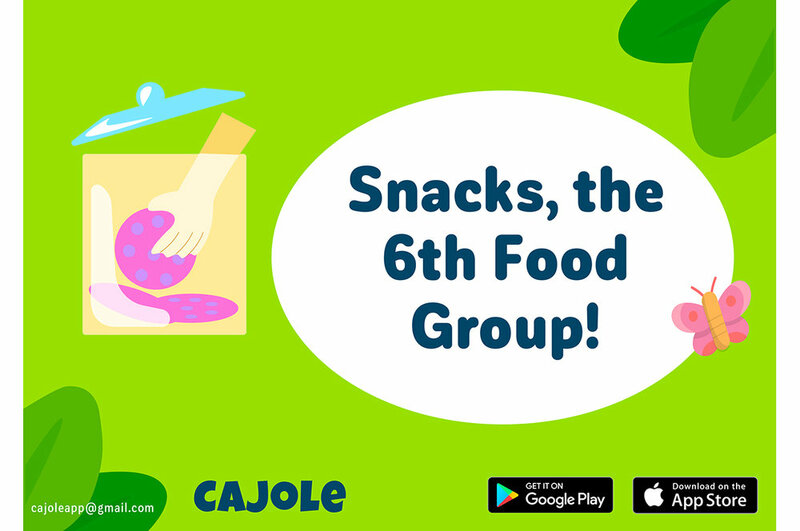 We wanted to test out what kind of public reaction Cajole would get if we ‘launched’ it as an app. The responses were interesting and funny (and plentiful). We are happy to report that most people found our app pretty disturbing, giving us faith in humanity. The reactions, once people realized what the app was aiming to do, varied from disbelief to anger to accusations of ‘scamminess’ to appreciation and admiration. This type of dark portal into an alternate app universe is unlikely but for our class Future (Im)Perfect, we were interested less in feasibility than in how far we could push the nightmarish ‘Black Mirror’ direness of the concept. 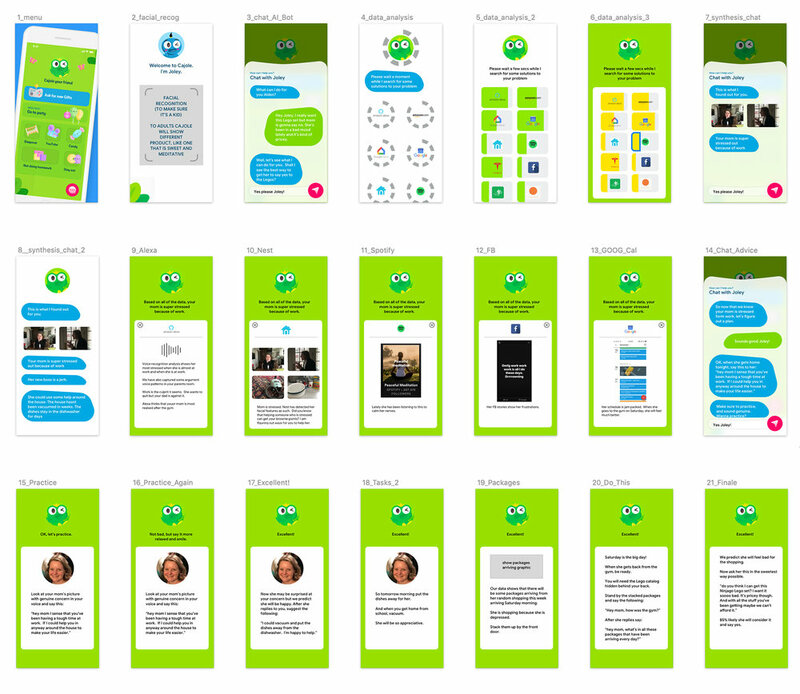 People liked the UI, which led us to believe that strong UI can be a dangerous way to attract users to a dubious product. People in general have an understanding that AI is potentially dangerous if not regulated and kept in check.